It’s giveaway time! 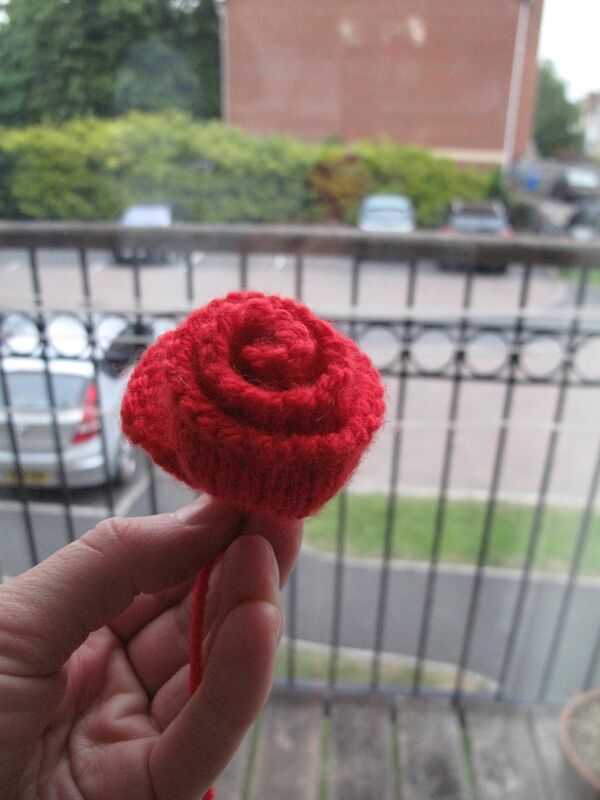 I promised all you lovely folk a pattern giveaway once my blog hit 1500 views. That happened a couple of days ago (along with 1600 views, you guys are too good to me! 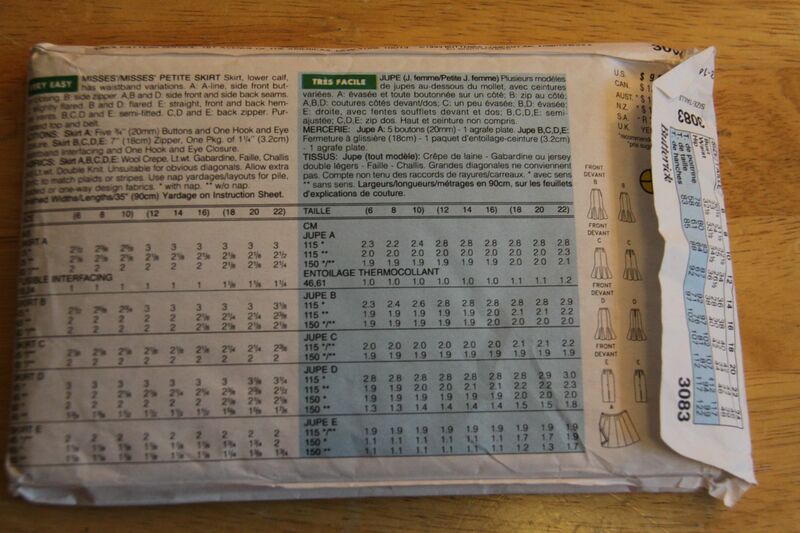 ), so I owe you some patterns! 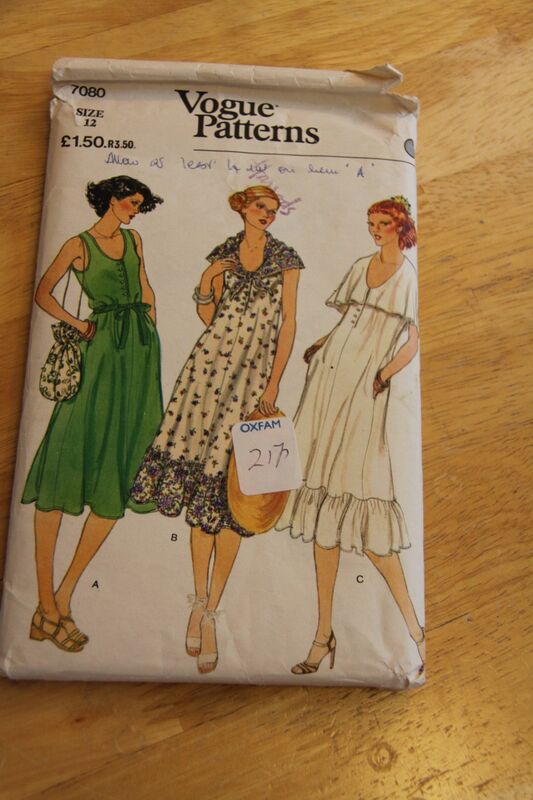 They have certainly cottoned on to the current sewing buzz! 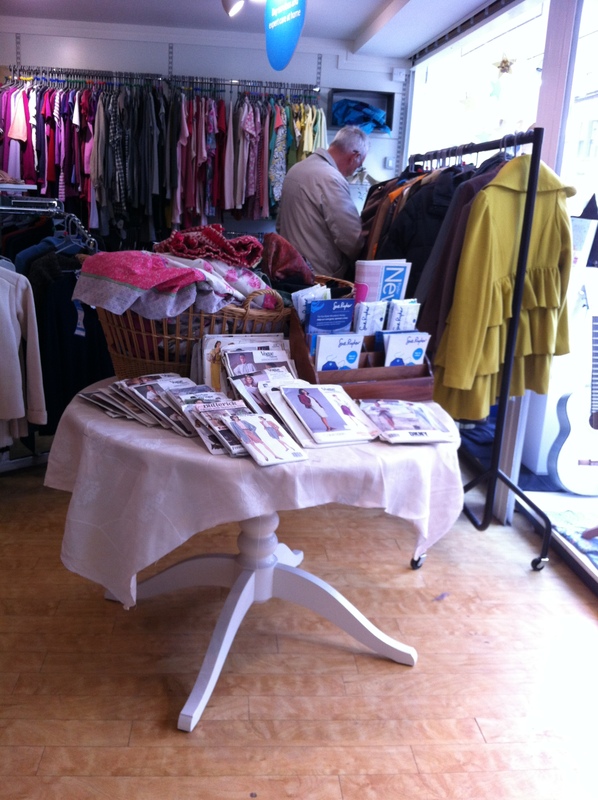 When I went back in last week, they’ve now added a bowl of buttons to their sewing patterns and box of fabric! Good work! 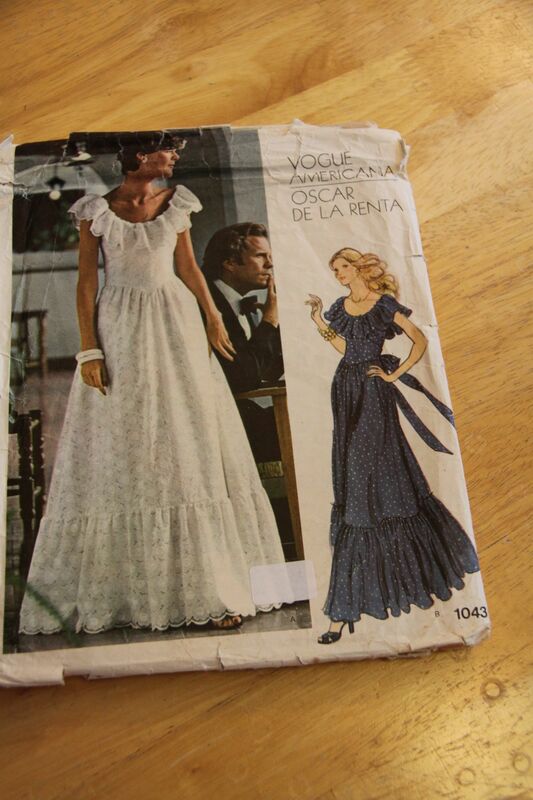 The first pattern I picked up is Vogue Americana Oscar de la Renta 1043 evening dress pattern from around 1974 in size 12 (bust 34) . 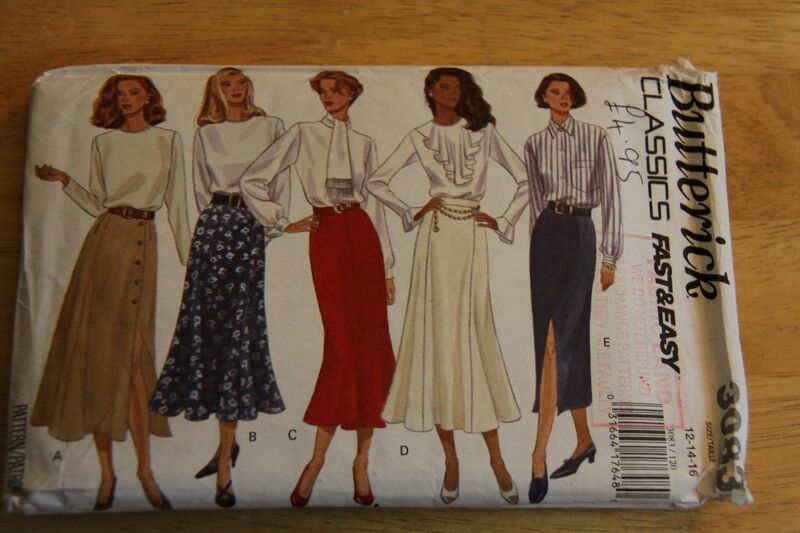 I actually saw this one when I was looking for patterns for myself in there on my first visit, and thought it was absolutely gorgeous, but didn’t really think I could pull it off, or have an occasion to wear it for. But I’m hoping I can’ find it a good home with one of you. 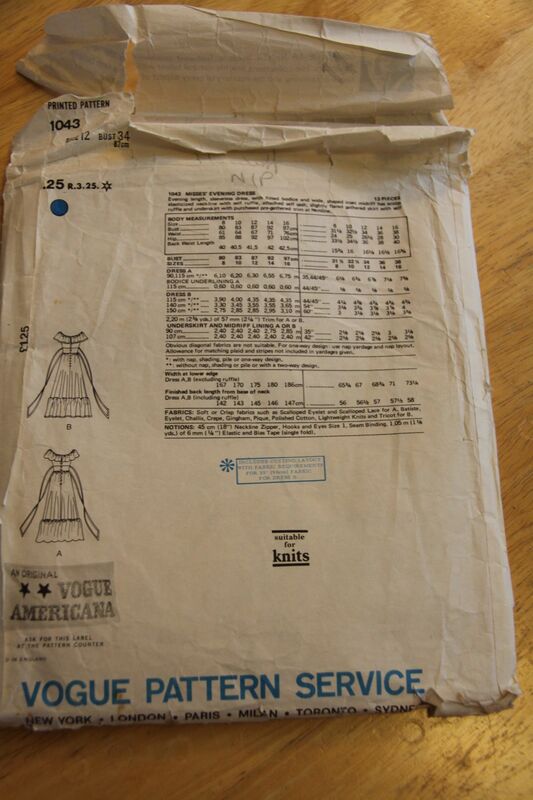 The second pattern is Vogue 7080 misses dress pattern (circa 1970s, can’t really find anything more specific), again size 12, complete with a couple of hand written notes on the pattern envelope. If you want to get your hands on one of these patterns, all you need to do is follow the steps below. 2. Leave a comment below letting me know which pattern you’d like (feel free to say all 3 and I’ll enter you for all of them) and which method you follow the blog by. Good luck, and thanks for visiting! P.s. the giveaway is open worldwide! Yesterday my blog got its 1000th hit! I am delighted! Thank you all for reading, and for all your lovely comments – they make me feel all warm and fuzzy inside :) when I started this blog, I never imagined that within a few weeks I’d have had so many views. I had planned on doing a little pattern giveaway to thank you all once I reached 1000 hits, but thanks to all of you (and this is no bad thing! ), it came round slightly quicker than I’d anticipated, and I’m not at all ready! So, there will be a pattern giveaway very soon, maybe once I hit 1500 views. In the meantime, please do keep reading! Now that the ‘get everything done in time for holiday’ panic is over, I’m starting to get excited about new projects. I spent a lot of time on holiday eyeing up people’s clothes thinking ‘ooh, I want to make something like that!’ Most of them were lovely summery clothes, which would be perfect to have right now…of course by the time I get round to making them, our heatwave will probably be over, and I’ll have to save them for our next summer, which will probably be in about 6 years’ time! But that’s not stopping me from making long lists of things to make! I’ve had a busy week this week, with no sewing time, other than a couple of small projects as gifts. Next week, I think I’m going to go into full on sewing mode again, I just want to have more clothes to wear that I’ve made! Already, I want to have a home made dress for every special occasion – I’ve got a wedding to go to in a couple of weeks’ time and would love to make a new dress for it, but I just don’t think I’m going to have time unfortunately. 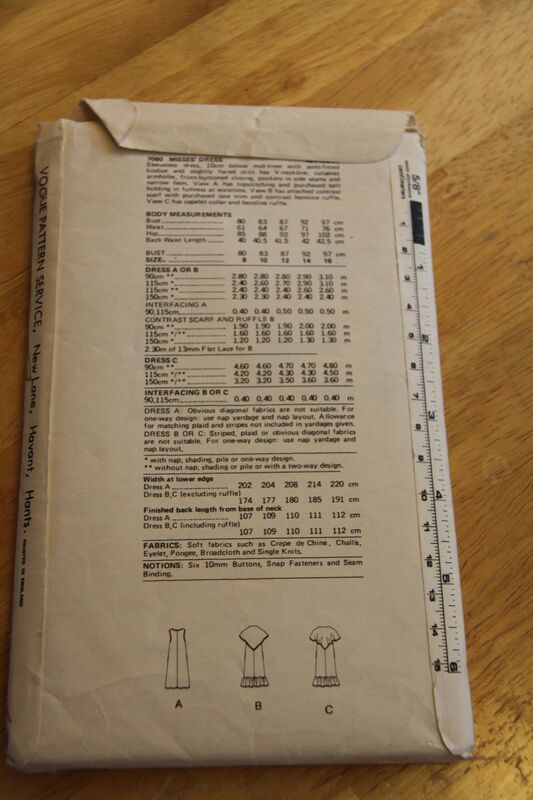 What do you all have lined up for your next sewing projects? Back to work for me now, I’m counting down the hours until I can escape into the sunshine! Have a great sunshine and sewing filled weekend everyone! 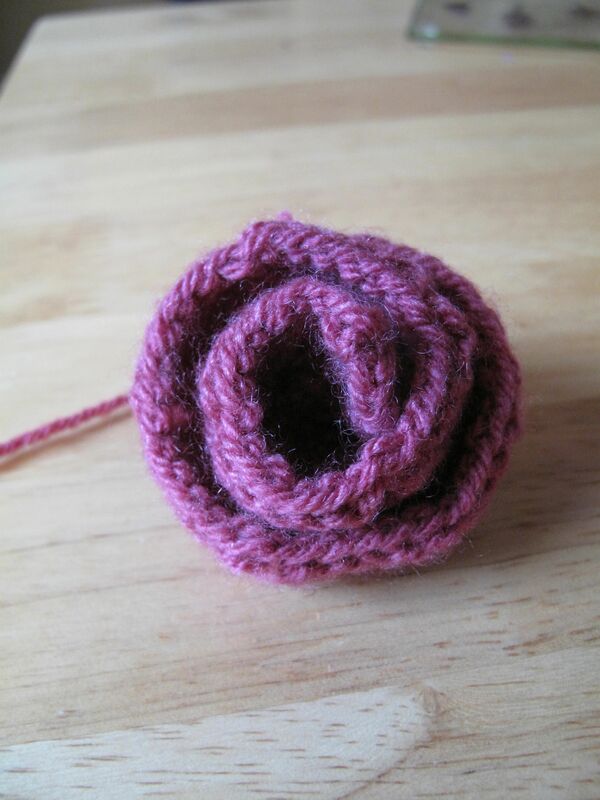 A while ago, I was trying to find a good pattern for a knitted rose. Something simple, but that looked, well, rose-like. I came across this pattern, which seemed like it was easy enough to follow, and looked good too. I tried making a slightly smaller version of it first by making slightly shorter rows, but that meant that it didn’t roll up enough. So I tried making it as per the pattern, but it seemed to curl in on itself too much, and I couldn’t really see the lacy pattern. Mine just didn’t seem to open up as much as the photos on the original post. So I tried it again, but this time I did it all in stocking stitch, and omitted the lacy pattern. I figured that given the tendency of stocking stitch to curl slightly at the edges, it might work better. I’m really happy with how this one turned out, it rolls up really nicely and has a much more defined shape than the other one. 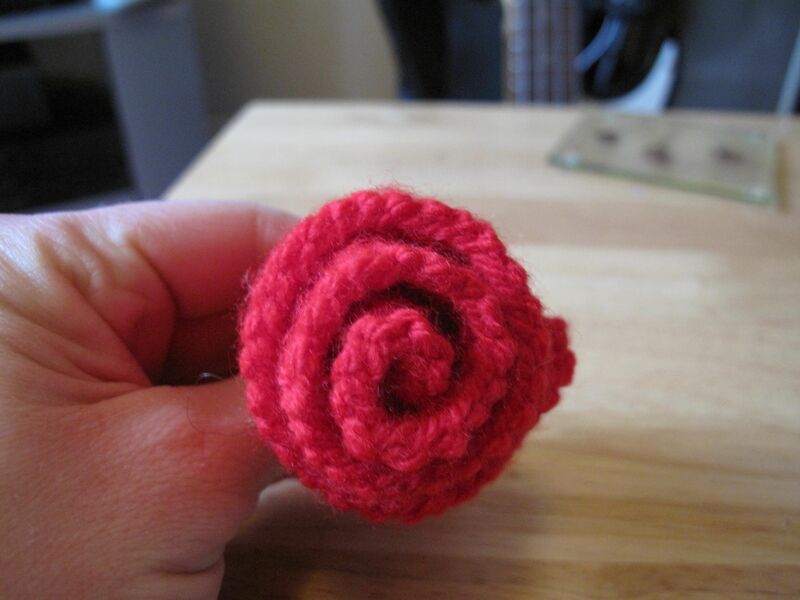 I think I might turn this one into a hair clip, but I also think it would be good sewn onto a hat. 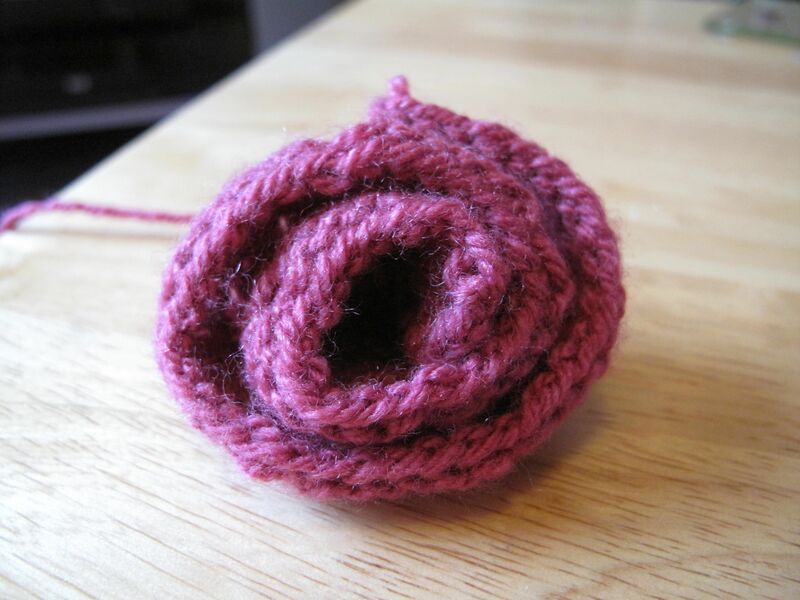 The amended pattern I used is below if you’re interested in giving it a go!